Hey guys! Other than a new month approaching, I found myself a new skincare range to try out and hopefully maintain and enhance my skin condition with the big day coming up. I was recently introduced to Zephyrine, which was founded in 2011 to be known as a gentle skincare segment. The collection is pretty unique as it provides five series of products which includes Classic, Whitening, Anti-aging, Moisturizing and Cleansing. 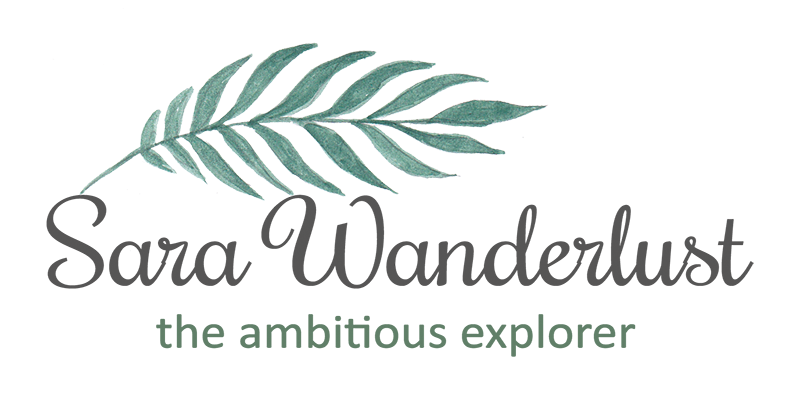 The brand claims to be formulated with luxurious materials, in which I was immediately curious on what Zephyrine has to offer! Got you curious too? Well, let's find out more! A unique feature that this brand has would be that it focuses more on a complete skincare range that caters to all your skin worries. For example, I usually have a different skincare range set to target my acne issues and a different skincare range as my everyday daily moisturizing cleansing. What makes Zephyrine different is that it targets almost all your concerns from anti-aging to moisturizing to whitening, all in one skincare set! Another bonus point would be that they have specially formulated the products to suit Asian skin. With so many thoughts being put into creating the perfect range, I couldn't resist but to try it out myself. 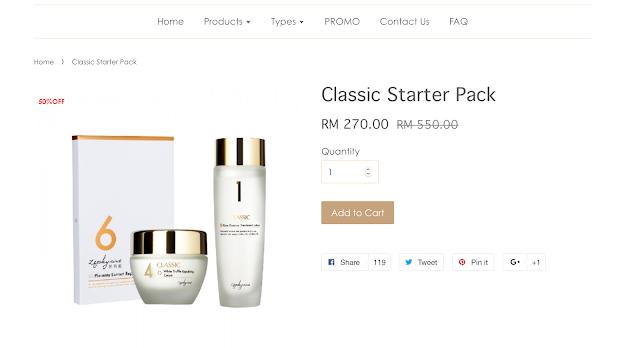 Currently, on-site, Zephyrine is having a 50% for their skincare sets, and I got myself the Classic Starter Pack to try out. Starting off with the Rose Essence Treatment Lotion, I was sold when I knew that it's made out of rose essence. I absolutely love roses, and its pretty rare to find a Rose Essence Treatment lotion that uses Bulgary Ruby-Damascus Rose as the water base. Known to be good to replenish skin moisture and helps to balance the skin while soothing sensitive skin. Not only that, but it also contains pearl extract from Uwajima to control pigment spots and whitens the skin from the inside out. Im pretty convinced that this lotion not only moisturizes but also soothes and brightens the skin almost effortlessly! Next would be the White Truffle Repairing Cream that helps to repair, moisturizes and firms the skin. Containing white truffle extract, the ingredient is known to encourage self-repairing and improves the hydration of the skin. It also contains Yeast extract which helps to activate skin cell and improve skin firmness and elasticity. Yeast is also high in anti-oxidation which helps to detox the skin. Just to complement the formulation, it also contains wheat protein for skin brightening and UV protection, Aloe Vera for deep moisturization, Hyaluronic for moisture locking while improving skin elasticity and Allantoin that lightly exfoliates and encourages skin regeneration. Apparently, the hype on this would be that it doesn't feel sticky and it reduces redness very well for those who have sensitive skin. Honestly, I really can't wait to try this one out! Last but not least would be the Placenta Extract Repairing Mask. Just an honest opinion, when I found out that this mask includes placenta within its ingredients, I knew I had to try this out myself. Did you know that placenta is known to maintain hydration while reducing melanin and spots to give your skin that natural glow? It also has oat extract which is highly concentrated with vitamin E to help maintain hydration while repairing the skin by improving skin elasticity and firmness. From what I know, if you have dry, damaged, sensitive skin, this mask would help you repair the protection layer to soothe redness. It claims to strengthen the skin layer while giving better tone and brighter results. OH, did I also mention that they have designed the mask to be the most comfortable mask sheet that encourages 3 times of essence absorption? Being Asian, I noticed that some mask usually does not fit as its either too big around the eyes, but this has been improved to cover the eye bag area and also the corners of your nose. As a conclusion, I would like to highlight that Zephrine focuses on using premium ingredients, ensures that all products are securely tested for safety and it has SGS certification which means all the products, processes and systems are compliant with the proper regulation and standards. I also respect that they do not use alcohol or artificial colors, does not use preservatives, does not contain heavy metal/silicon and does not experiment on animals. I don't know about you, but im a huge supporter of brands with values. i loove their packaging! so simple and elegant!